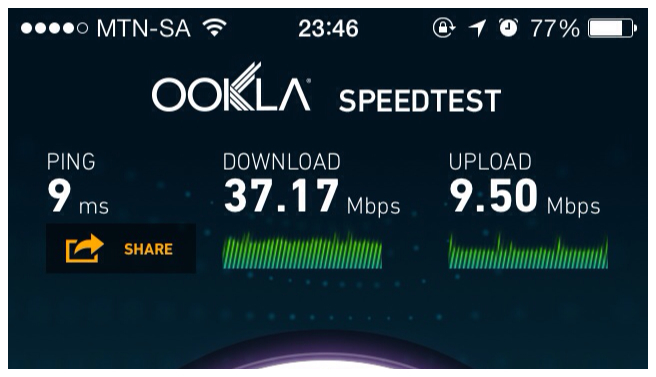 Fibre optic broadband is a way of the future. To view most content that is available online, a high speed internet connection is becoming increasingly more important. Most online video viewing platforms are offering video in high definition, to make sure that you receive the benefit of these service a high speed internet connection is highly recommended. 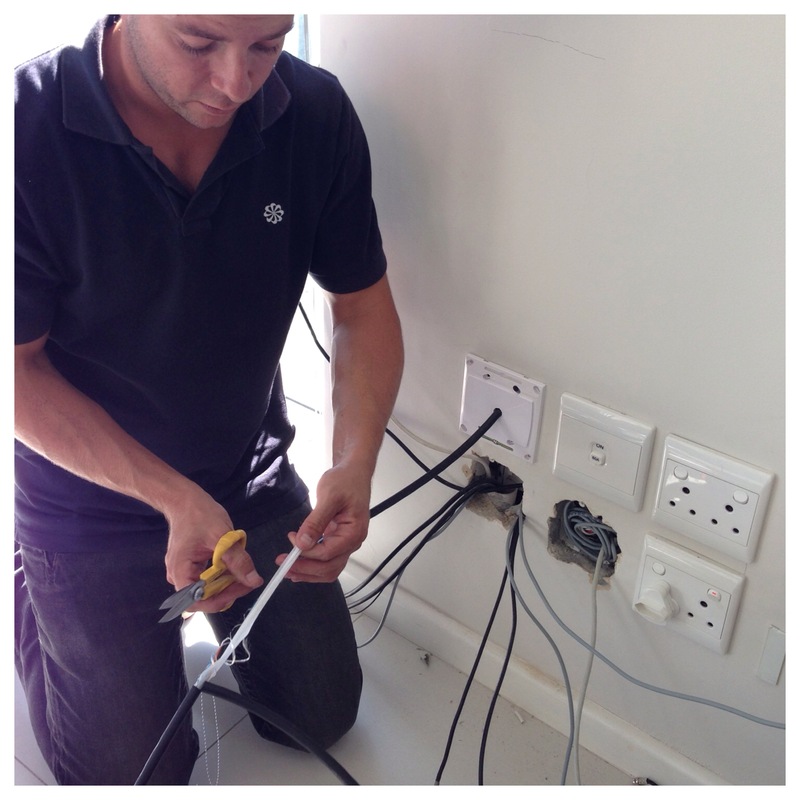 We have recently completed the upgrade of a clients Clifton apartment to include a Fibre line from Smart Village. 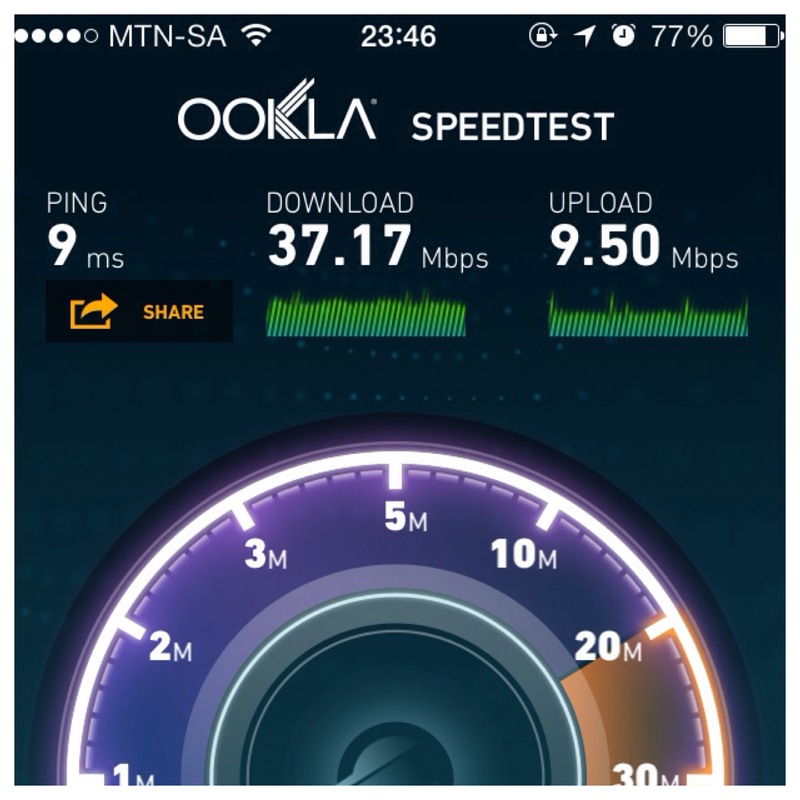 This system caters for DSTV over IP (a system that only they offer in Cape Town currently) as well as Fibre Broadband. This is a brief introduction to the project and what the installation required. This is a brief description of what it takes to install the Fibre cable required. Brent cutting open the Fibre sheathing. The type of Fibre installed in this apartment is a direct link from the main service feed. For this reason the cable into the apartment is an 4 core Fibre cable. Within the main sheathing each Fibre line has its own individual Fibre coating. This is a plastic coating to protect the fragile glass core against damage. Once the required Fibre line has had its protective coating removed. It is cleaned with Fibre Optic cleaner, this is an alcohol based cleaning agent. 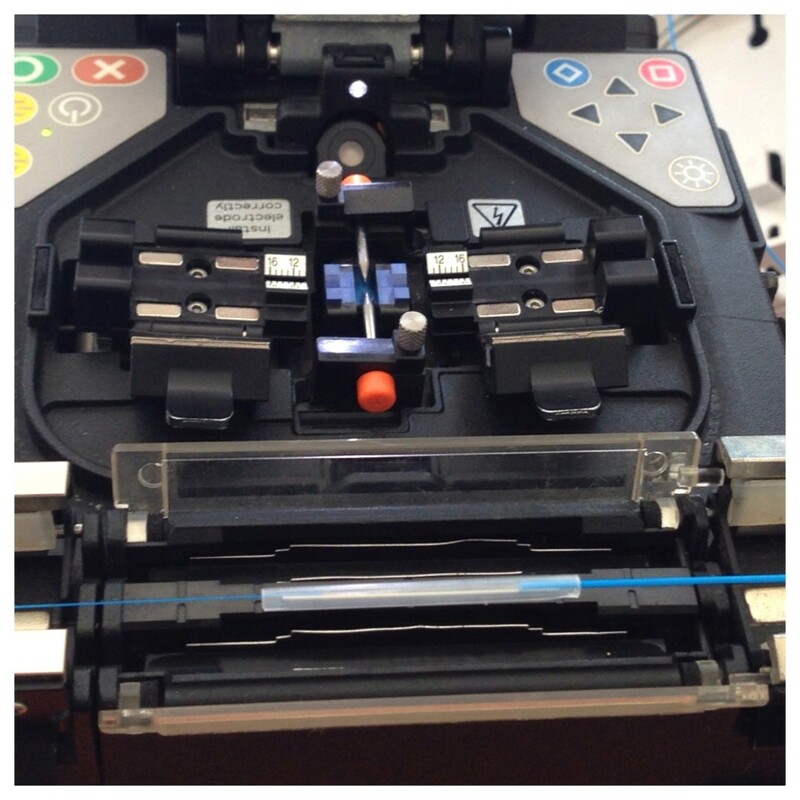 At this stage the Fibre Splicing Machine is prepared for use. 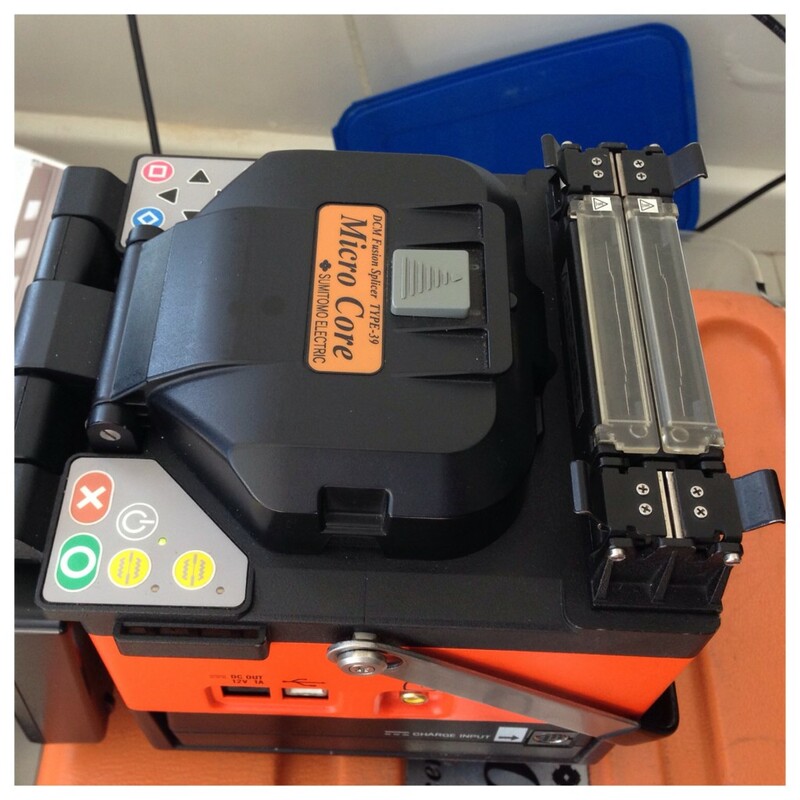 The one used by Smart Village is the Micro Core, DCM Fusion Splicer. Type – 39. This is most certainly one of the most impressive pieces of professional installation equipment that I have ever seen. Not seen in this description is “Cleaving the Fibre”. This is the process of cutting the Fibre ends to ensure that they are perfectly straight. This is done because the Fibre needs to line up perfectly to be fused. If it is not lined up perfectly, it can cause various Fibre transmitting issues, including: Reflectance, Core Miss-match or Axial Run-Out. 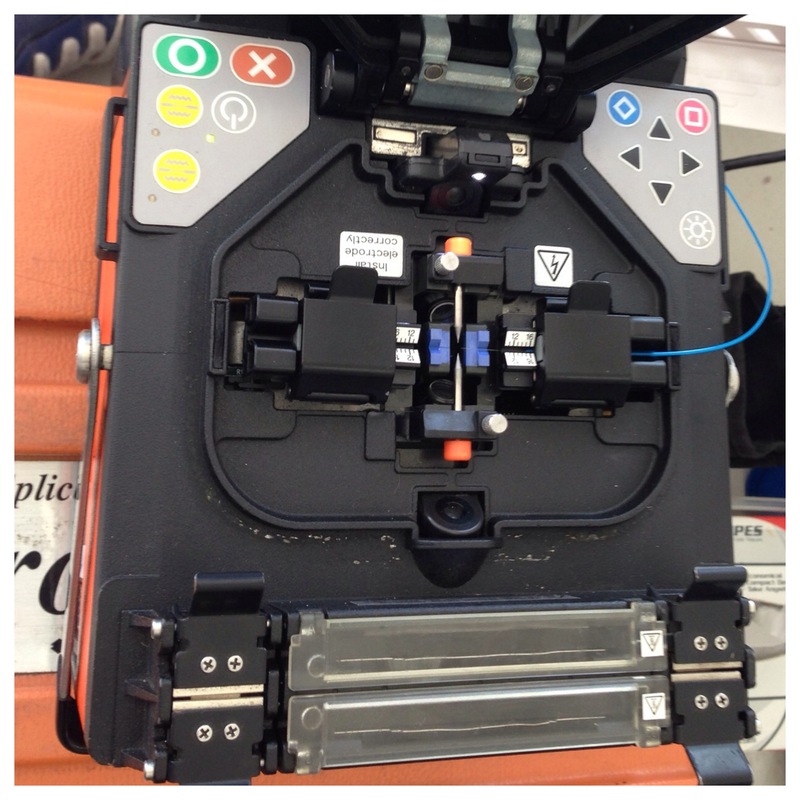 Fibre Optic Cable is inserted into the Fusion Splicer. The very fine internal glass core of the Fibre is inserted into the Fusion Splicer. Clamps hold the Fibre in place untill it is ready to be fused. The Fibre is so fine that it is almost not visible in this image. 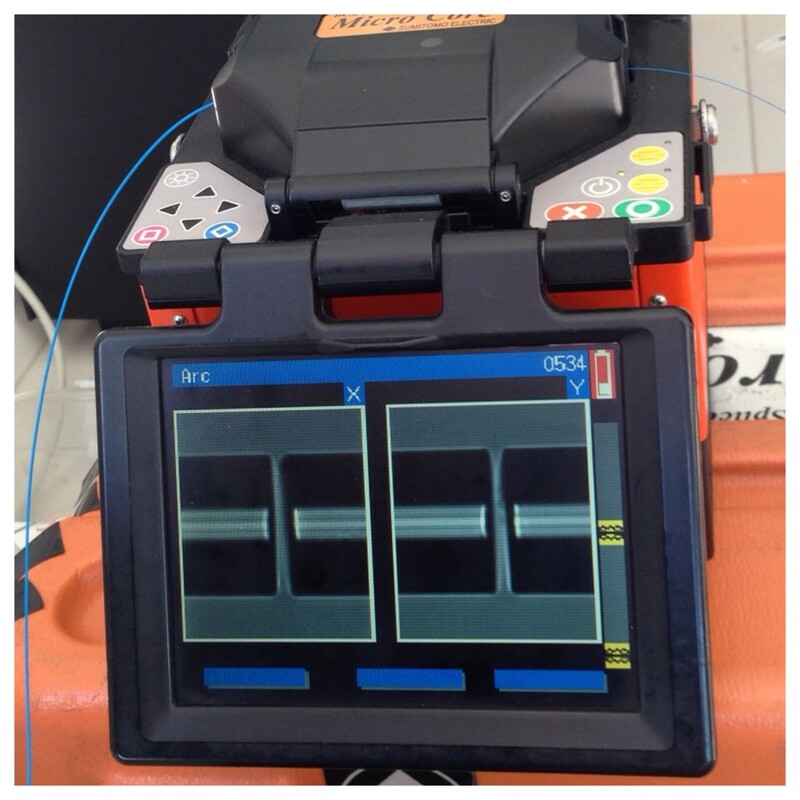 Final alignment of the Fibre is done by the Fusion Splicer. This is a magnified view, visible on the display of the Fusion Splicer. Once the Fibre is lined up an Electric Arc heats the Fibres and fuses them together. Heat Shrink being applied to new Fibre connection. 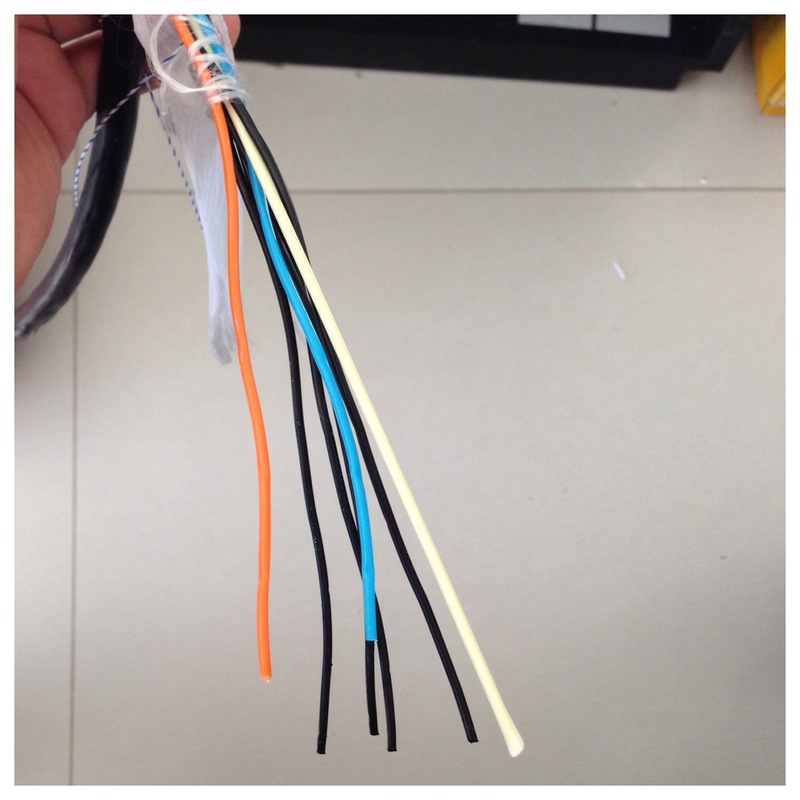 Once the Fibre has been fused together a protective heat shrink is applied to ensure that it is not damaged. Total loss on this join is calculated and displayed on the Fusion splicer. This join was calculated at 0.07dB. A very good connection. After connection of the Fibre router in the apartment, a Speedtest was run to gauge the speed of the installation. The results of the Speedtest without any restrictions given by Smart Village in accordance with the clients line rental agreement. This was done to showcase the ability of the newly installed Fibre Broadband line. The Fibre installation took place over 3 days. In an area that struggles to receive DSTV signal and was previously only able to connect to the repeater SD system. The full service of High Definition DSTV is now available in 2 viewing environments. Apple Tv’s were also installed to enable connection greater flexibility for entertainment, including the Airplay to both Audio Video environments.